I’ve heard writers argue that genre mattered back in the days where the only path to publication was going through a traditional publisher. With the rise of self-publishing as a viable option, they say, we don’t need to understand genre anymore. Here’s why that’s not true. Reason #1 – Traditional publishing is still the right choice for some writers. If you pitch to an agent, they want to know genre because most of them represent certain genres, and most publishing houses publish only certain genres of books (or they have lines devoted to particular genres). If an agent reps only urban fantasy, for example, and you send them your epic fantasy, you’ve wasted their time and yours. Reason #2 – Genre matters even if you plan to go indie. If you self-publish and upload your book to retailers, what category are you going to put it in? If you manage to get into bookstores or libraries, what shelf will it belong on? It has to go somewhere. Also, readers do look at the top 100 lists on their retailer of choice. They might love your book if they found it, but if you don’t put it in the right category (aka genre), they might never find it. Reason #3 – Genre helps you find your ideal reader, the people who are most likely to turn into diehard fans, because people who read books similar to yours may enjoy your books as well. This knowledge allows you to better target any ads you might run, and gives you an idea of who would be best to partner with for joint promotions. Reason #4 – When the average person asks you what your book is about, they’re really asking first to know what genre it is. They want to know if it’s a mystery or a fantasy or a romance. Only after that do they want to know the plot. Because if you give them the plot before the genre, the first thing you’re going to hear is “So it’s a mystery?” or “So it’s a fantasy?” People need to categorize to make sense of the world around them. Reason #5 – If a reader comes to your story expecting one thing, and you don’t give it to them, they’ll be disappointed. If you’re craving chips and someone tricks you into eating a piece of cake instead, you’re probably not going to feel satisfied. You need to know what readers expect so you can meet (and exceed) those expectations or so you can help them adjust their expectations. As well, if you plan to write to market (selecting a genre niche and writing a book that you know will hit the expected tropes), you can’t do so without first knowing your genre. Genre still matters. Genre will always matter. If you’re confused about genre or simply want to gather some inspiration for what genre you might want to try writing in, then you’re in luck. 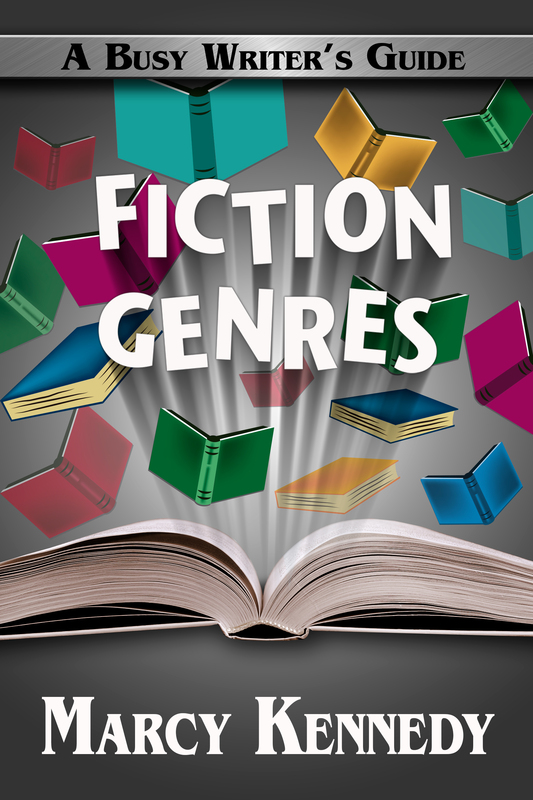 Fiction Genres: A Busy Writer’s Guide is now available! This mini book will demystify genre so we can better understanding what we’re writing and who might want to read it. 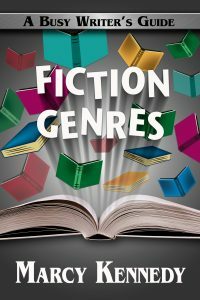 In Fiction Genres, you’ll learn what qualities make a book one genre rather than another, and you’ll discover the smaller “genres” that fall under the larger umbrellas of fantasy, science fiction, horror, mystery, suspense, thriller, and romance. For each, you’ll also see examples of published books or authors whose books exemplify the genre. Reason 6, I will brutalize your book blurb in my bad blurb articles on my blog or one of my reviews. A poor genre designation or a book blurb that doesn’t fit the genre is not only a lie, but also poor marketing. So very true. As a reader, I hate it when I get a book and it was labeled as one thing but turns out to be something else.